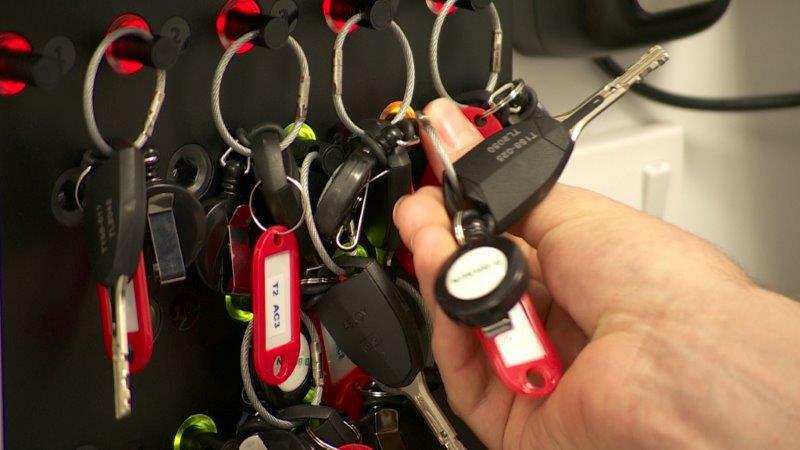 Locking experts Abloy UK and leading medical equipment manufacturer Bristol Maid have supplied the Queen Elizabeth (QE) Hospital Birmingham with over 1,400 keys and 1,600 locks, fitting PROTEC2 CLIQ© and Traka21 advanced key management systems to improve the security of medicines. In addition to nursing efficiency, one of the major issues faced by QE and many other healthcare organisations is that of medicine management, and how to effectively secure drugs whilst giving nurses quick and convenient access. Poor management of keys detrimentally affects nursing efficiency, as staff using older mechanical key systems find it difficult to keep track of who has the keys, and searching for that person to gain access to controlled drugs wastes a substantial cumulative amount of nurse’s time. The solution to both of these issues at the QE was the PROTEC2 CLIQ© key system from Abloy UK. PROTEC2 CLIQ© is an easy-to-use access control system based on mechanical high security disc cylinders combined with highly encrypted electronic locking and identification. Power to the lock is provided by the CLIQ© key, therefore no batteries or wires are required to either the lock or drug cabinet, making it an ideal retrofit solution - even for applications such as mobile drug trolleys. PROTEC2 CLIQ© was combined with the Traka21 key management system, which provides nurses’ access to a single key for the duration of their shift. By simply entering a PIN code to access a specific key which they validate using the wall programming unit, they can access every cabinet they’re authorised to open. “The PROTEC2 CLIQ© and Traka21 systems offer key audit trails, which means Chief Pharmacists and Nurse Managers can view a report of exactly who has accessed particular cabinets or trolley’s at any time. This substantially increases the security of medicine cabinets, whilst making them easier to manage.